Are you looking for a fun way to pass time on your iPad? Games are the obvious solution. The App Store has countless games for your device. Many of these games were built for iPod Touch and iPhone but are compatible with the iPad as well. From observation I have also learned that the best games are not free. Sometimes however, there are exceptions to that rule. Strike Knight is such an exception. 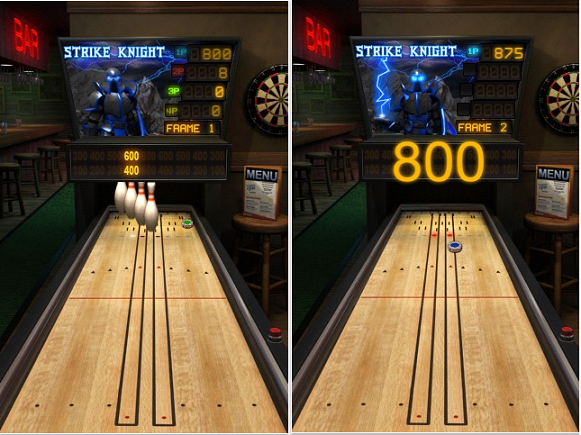 Strike Knight is a bowling game with great graphics and gameplay. It is created by Backflip Studios, makers of the popular Paper Toss. In addition to being a great game, players will love the fact the game is absolutely free. It can be played on iPod Touch, iPhone, and the iPad. The game is sized at 13.7MB and requires iPhone OS 3.0 or later. User comments of the game quickly reveal the enjoyment it delivers. Whichever Apple device you are running (iPod Touch / iPhone / iPad), Strike Knight is a must have game.